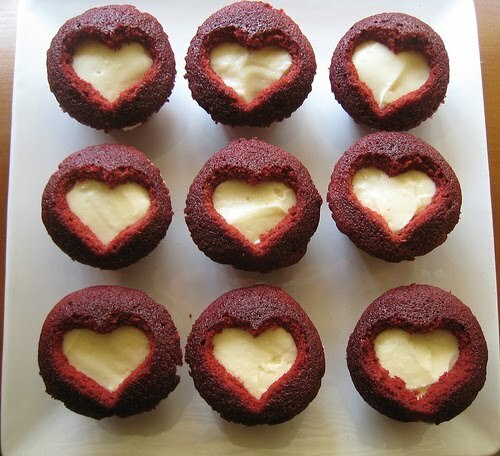 Turn your average red velvet cupcakes into cute heart cupcakes. I love this idea from justJENN recipes! She overfilled her cupcakes so that they fluffed out over the top. She cut off the top and used a heart-shaped cookie cutter to punch out a heart. Next, she frosted the cupcake (without the top), and then replaced the top. Looks delish! Thanks for sharing. 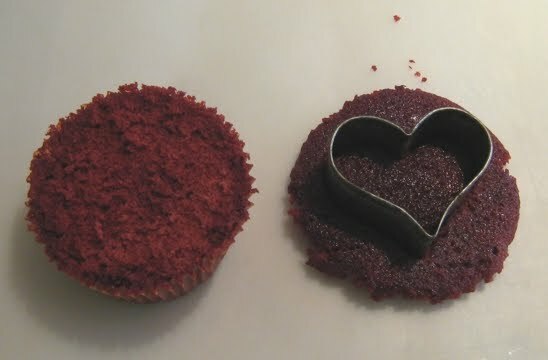 I like the idea of these cupcakes. I really think that they're healthy and delicious. Thanks for sharing.